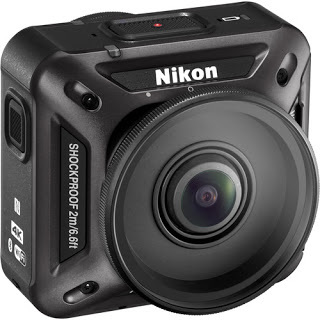 You can now preorder the Nikon Keymission 360 from B&H Photo as well. If you preorder before October 22, you’ll also receive the free accessory kit. 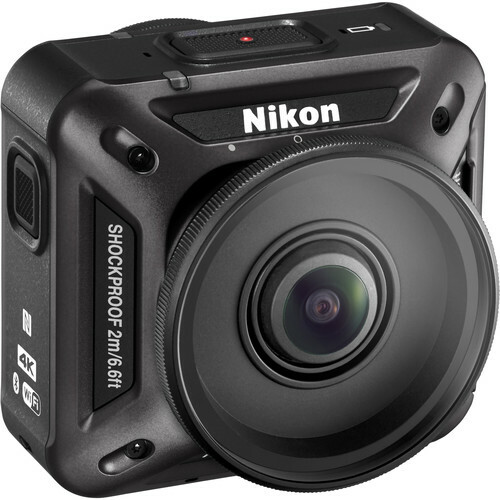 The accessory kit includes: a tripod, extension arm (selfie stick / handle), carrying case, and extra battery. Shipping may be free (for Los Angeles, there’s free 2-day shipping – check for your area). 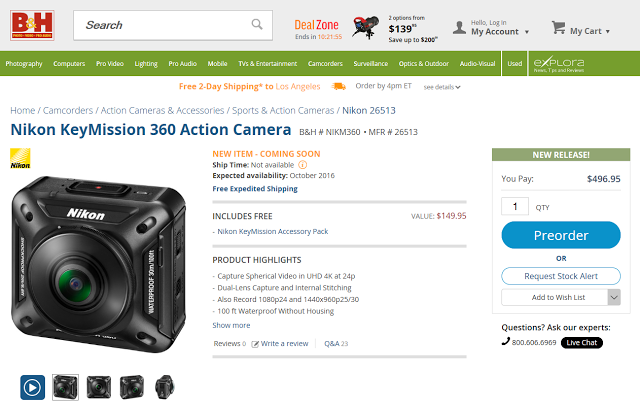 UPDATE: Keymission 360 is also available from Amazon, also with free Prime shipping and with the free accessory pack. However, you have to select “accessory bundle” (see the link). 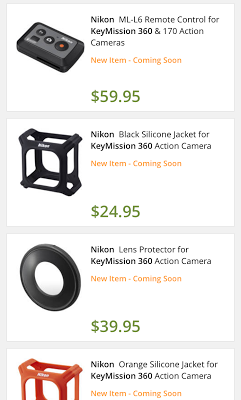 *The Keymission 360 comes supplied with these accessories.